Apple has officially announced the White iPhone 4 for users all over the world. 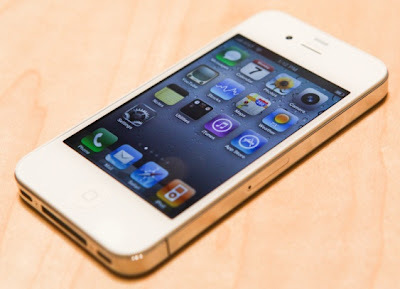 White iPhone 4 is now finally on sale and people can buy the White iPhone 4 directly from Apple Store. Almost an entire year after Apple originally announced the iPhone 4, which promised both a white and black model, the company has finally released it. Due to production problems, the white iPhone 4 was delayed a number of times. One person managed to actually get the defective parts from Apple's manufacturing plant in China, selling them to consumers who couldn't wait. After the parts surfaced online, consumers quickly learned why Apple had delayed the white iPhone 4. You can get and buy the new White iPhone 4 at your local Apple Store or online for the same price as the black.